The thing about political dramas is that they can run, and run and run before something suddenly gives and that’s where we are today after Graham Brady, the chair of the backbench 1922 committee, confirmed that at least 48 MPs had written to him expressing doubts in the Prime Minister. He revealed the news to Prime Minister Theresa May around 10pm last night. it can’t have been an easy phone call but he said she took it in a “businesslike” manner. he then officially confirmed the news on Wednesday morning. Tonight Tory MPs will vote between 6pm and 8pm and the result will be revealed to us all before 10pm. After the months of speculation, backstabbing and Brexiteer bashing when the dramatic demise of the PM loomed it came with lightning speed. Personally, I don’t think she can survive even if it will only take one vote in her favour to win this vote of no confidence. Clearly, she’s not the sort to walk away but even if she wins the vote she can still lose. 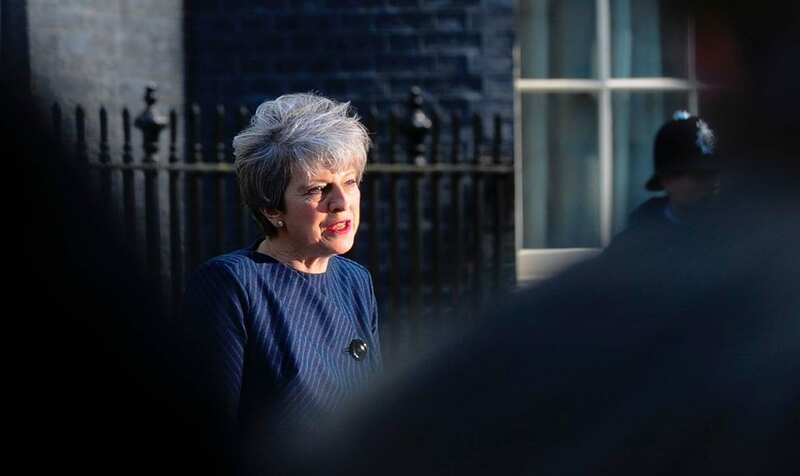 May needs the support of at least 158 MPs to win, and if she does, under party rules, there can be no other official Tory challenge to her time in office for the next year. Should she lose then the Tories will need to find a new leader, and I reckon some Tories are already positioning themselves? Home Secretary Sajid Javad, for instance, was in talks in Westminster on Tuesday night with the leader of the DUP Arlene Foster whose support is crucial. The leader of the Northern Irish party was in London when the final stages of this drama began to rapidly unfold. While confirming her meeting with Javid, MP for Bromsgrove in Worcestershire since the general election of 2010, she said she had not met Boris Johnson, another heavyweight contender (although he has lost 12lbs in weight in two weeks). More than 20 Tory backbenchers have confirmed publicly that they have submitted letters calling for May to step down, including Jacob Rees-Mogg, the influential chair of the European Research Group, the former Brexit minister Steve Baker, former Northern Ireland minister Owen Paterson and staunch leavers Nadine Dorries and Andrew Bridgen. Predictably Jeremy Hunt and Michael Gove rallied round May who now faces possibly the greatest and toughest challenge of her political career. Meanwhile, Labour seems to be dithering as Westminster and the Government ceases to function properly amid all this chaos. You’d think it would be time for the leader, Jeremy Corbyn, to step up and act. Labour has so far failed to capitalise as the Tories embark on a bloody, civil war. The reality is, if May wins, Labour will have enabled her by not bringing her down during this stormy period or she is replaced by a hardline Brexiteer like Boris Johnson. Labour really could have toppled this crippled government if only they had acted sooner. By refusing to call a No Confidence motion, Labour has shown it has more faith in Theresa May’s Leadership than her own MPs do. So any crowing from Labour if and when May goes is certainly not down to them. I’m afraid the Opposition party has been rather shambolic. This is a fast-moving news story so as they say … watch this space!